Is it time for your wisdom teeth to be removed? A simple exam at our practice can let you know. Your third set of molars, known as wisdom teeth, typically erupt between the ages of 17 and 25. Unfortunately, they’re not always needed—and can cause more trouble than they’re worth. This is why it’s important to visit our practice if you begin to notice any of the following signs—if so, it could mean that it’s time for your wisdom teeth to go. 1. It’s feeling a little crowded in there. If you have straight teeth and notice a shift happening in the alignment of your smile, wisdom teeth could be to blame. 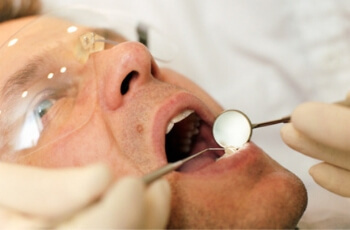 When teeth shift, problems can occur like gum issues, cleaning difficulty and even infection due to trapped food. 2. You’re feeling sudden pain. This is often the first indicator for most people that it’s time to schedule a visit with our practice. Typically, the pain isn’t excruciating, but a dull ache in the jaw. If you’re eating tough meats or food that requires a lot of chewing, it can exasperate this pain. It’s important that you don’t just mask this pain with over the counter pain relievers—you’ll need to see us eventually! 3. You’re experiencing sinus problems. When you think about your wisdom teeth, you probably don’t consider how they might affect your sinuses. However, wisdom teeth in the upper jaw have deep roots that can rub and push against your sinuses, causing pressure and pain. Others may experience more headaches and nasal congestion. Other common signs that it’s time to remove your wisdom teeth include cysts forming around the teeth, trouble eating and cavities. Is it time for your wisdom teeth to come out? We’re happy to help—schedule an appointment with our practice. march 2019 - Is Your Tongue a Funny Color?